As quoted in a previous Rough Notes magazine article, “Eighteen producers from 11 different agencies, most relatively new to their jobs, gather around a horseshoe-shaped table in Lansing, Michigan. They are here to be coached by consultants and industry veterans from Polestar Performance Programs — the insurance industry performance development specialists — who will help them reach their goals for new business production, client retention, sales and service efficiency, and profitability. The producers clearly enjoy the camaraderie and moral support they give each other.” So begins a Polestar Association Producer Performance Development Program. At Polestar, we recognize the importance of industry associations, non-profits, and affiliated organizations and their role in supporting agency, carrier, and industry-related businesses and individuals. It has been Polestar’s great pleasure to partner with numerous local, regional, and national insurance associations to bring in-person and online programs focused on changing behavior and improving performance. Whether in a Webinar, customized on site workshop, one-on-one coaching, or a full Polestar program, we offer Associations a unique opportunity to add new Members, enhance Membership value, and retain trusted partners. In addition to delivering complete Polestar Performance Programs, we partner with Associations on the following topics delivered separately or as a combined and integrated workshop. Agencies & Carriers – Adversaries or Partners? 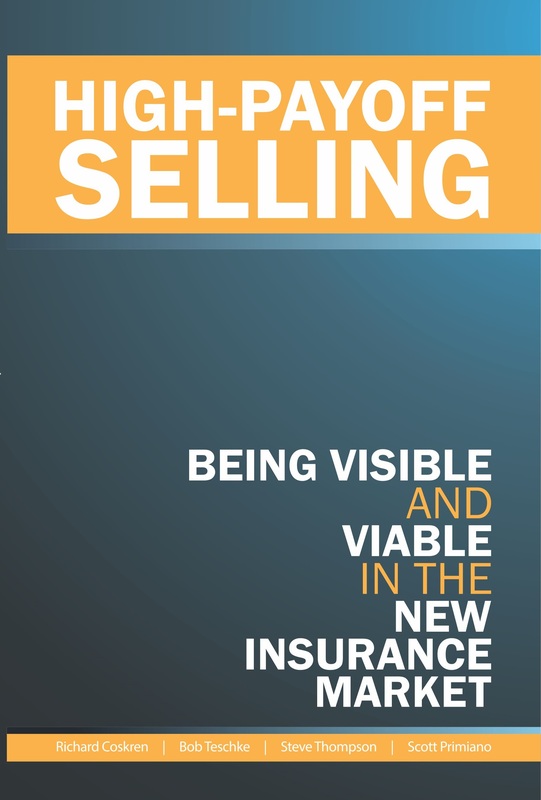 What makes for a healthy and thriving relationship between underwriters and their agents? Why are some markets considered “go-to” and others not? Is it just the appetite, price, and “ease-of-doing-business”? Sometimes yes, but most often no. In this session, we identify the interdependent nature of the carrier-agency-client relationship and learn to break-away from the inappropriate presumptions and behaviors that waste time, energy, and opportunity. So…how do you define good service? Does it match up well with your client’s definition? Does it differentiate you from your completion? Most agencies and carriers are victimized by the belief that “good administration” translates into “good service”. We believe differently. Our service programs recognize the contribution of Service Teams and their Producer partners. They reach far beyond conventional service standards to proactively define and respond to client expectations. Most admin-based service programs fall short because they are reactive and focused on the paper and not on the people. Good admin is only doing what we are supposed to do. Value-driven Service is much more. In this session, we present numerous value-driven techniques and build a client support system that is designed to function in concert with sales and marketing initiatives. By far our most popular offering… Why? Because everybody is busy. In this session, participants learn to accept the fact that they are always going to be busy and will never have enough time to “do it all”. Given this fact, we introduce a personal discipline that enables them to identify their true priorities, both personally and professionally, and allocate more time to accomplishing the things that matter the most. This is not a “buy my calendar system” or quick fix solution to personal chaos. It is, instead, a reasonable and flexible way to systematically allocate your time in a way that is consistent with and supportive of addressing your priorities and achieving your goals. How are we perceived by the people we meet? Are we seen as too pushy, too meek, too generic, or too different? Do we talk when we should listen, ask what we should already know, or believe that we know it all? Each of us has a unique personality that comes with predictable strengths that we routinely rely on as we interact with others. However, these strengths often create perceptions that interfere with effective communication and block attainment of our goals. Learning to identify a client or prospect’s buying style and to flex our approach so as to eliminate any style conflicts is a critical first step in building a positive, trusting relationship. In this session we profile each participant’s personal style and discuss methods to capitalize on strengths and minimize the potential impact of negative perceptions by others with differing styles. Chances are good that you have been exposed to one or more goal setting systems, strategies, and techniques that, though logical in approach and principle, never quite seem to catch on long enough to become habit forming. Why it is that such a beneficial and balanced approach to life is so difficult to consistently maintain? In this session, the answer to this question is reviewed, as are other pitfalls of conventional goal setting myths. Participants develop a realistic business and personal goals program that will stand the test of time and become the foundation for achievement. Perfect presentations are 80% preparation and 20% delivery. We cannot remove all of the butterflies but we can show you how to minimize their effect and overcome the most common pitfalls that can derail any presentation. In this program, participants learn to construct content, engage and interact with their audience, effectively use audio visual support, and, as a result, have the positive impact intended.